Pioneers who loved the land and each other. 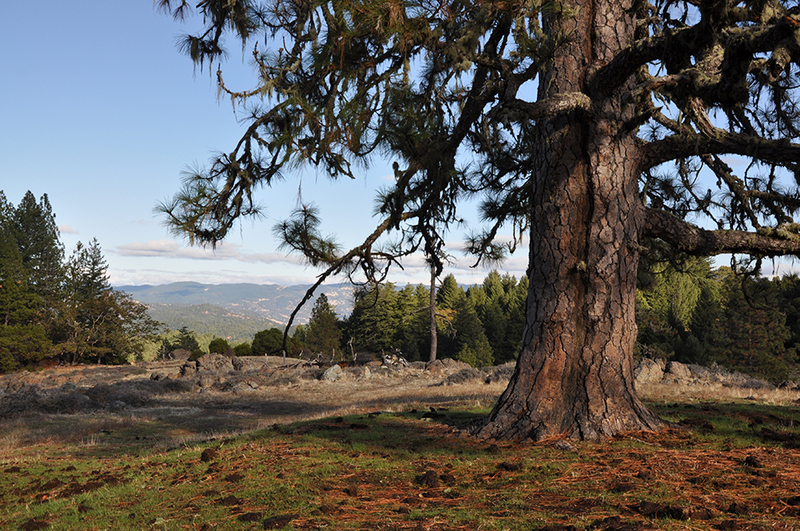 A granite slab beside Memorial Rock honors the Sagehorns, who purchased this Mendocino County ranch in 1948. The boulder has long served as a sacred landmark—for the First People of the land, Native Americans who inscribed its face with markings of lost meaning, and later the Sagehorns, who chose this spot as their final resting place. “From birth to death,” Marilyn Russell says, looking from this monument to the hills and mountains she has always called home. Rich in trees, plants, and wildlife including the Tule elk herds beginning to move onto the property, the Sagehorn-Russell Ranch has an important place in history. Thanks to the stewardship choices the Russells have made, it will have an important place in the future, too. A third-generation rancher and UC Berkeley zoology grad, Marilyn’s scientific background allows her to marvel at the ranch’s natural resources, while a hardscrabble childhood as her ranching father’s “right-hand man” gave her a real understanding of what the land can provide—and her duty to protect it. 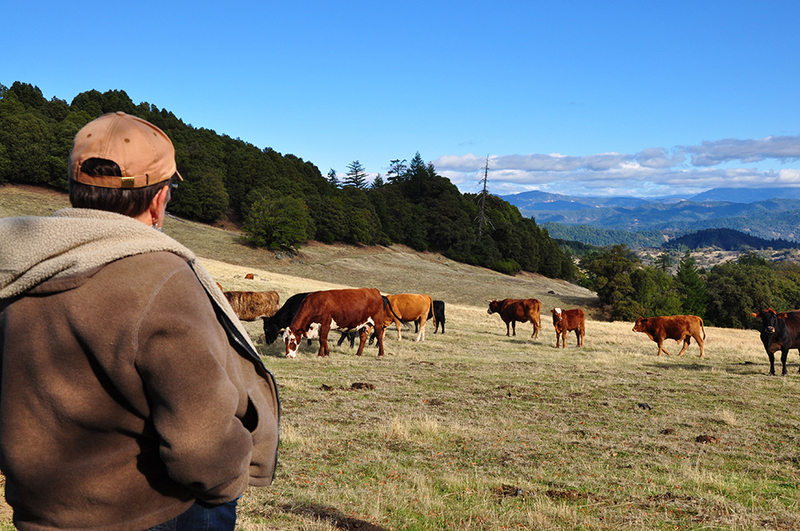 In donating the ranch’s conservation easement to the California Rangeland Trust, and in allowing her land to be a primary research center in the UC Berkeley Eel River Critical Zone Observatory project, Marilyn is creating a unique legacy. This question plagued her even as she built her life and career in Livermore. Marilyn’s parents sacrificed amenities and comforts in order to afford an education for their only daughter. Finding “love at first sight” with her husband of over 50 years, Jerry Russell, upended her plans of becoming a doctor, but Marilyn is grateful for her 30 years teaching biology at Livermore High School. With no children of her own, Marilyn built rewarding relationships with students she calls her “gift sons and daughters”—and her career allowed her to fulfill her dream of entering the medical field by becoming a “doctor” of a different sort. Other conservation groups didn’t convey a proper understanding of how to protect the ranch. When Marilyn learned about the California Rangeland Trust, something clicked. “I read the easement and the language and I thought, you guys understand. You understand what’s going on.” Marilyn and Jerry Russell made the incredibly generous decision to donate the conservation easement to the Rangeland Trust. The cost of processing the easement was covered by a special $25K grant the Rangeland Trust received when the American Land Conservancy (ALC) closed their doors a few years ago. Former ALC executive director Kerry O’Toole says she is excited that the funds will be used toward a donated easement on the Sagehorn-Russell—a ranch that embodies the values the ALC once held. As both a rancher and a conservationist, Marilyn has found peace of mind in her stewardship decisions. 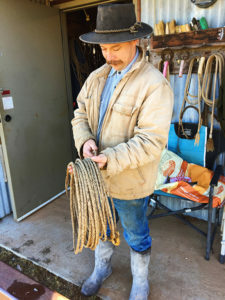 The ranch will be continue to be run by her longtime caretaker Paul Holleman and his son and daughter-in-law, Colter and Renee. The arrival of the Hollemans in 1994 was a major turning point in the ranch’s history. 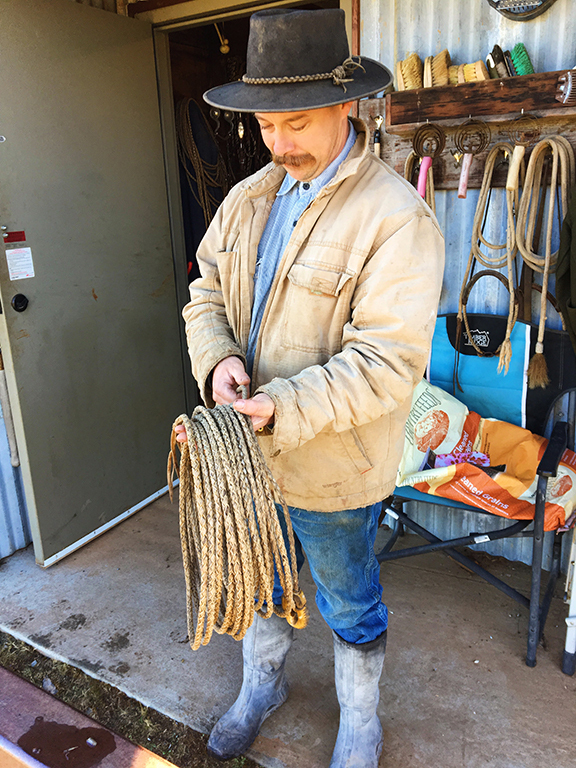 Paul and Colter introduced numerous improvements including an innovative water system, and the family honors the old Californio style, using horses and dogs for all ranch work.